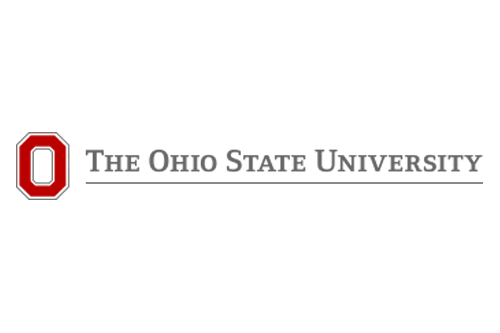 The Ohio State University offers employees a variety of retirement plans and options. The task of determining what is in your best interest and to get the most out of your retirement plan options can be overwhelming to new or existing employees as well as the average financial professional. Making the right decisions about what plan to choose, how to fund, manage and monitor it is crucial for the short-, intermediate- and long-term success of each individual employee. For this reason, we offer a financial consultant, a University Retirement Plan Advisor, who is skilled with expert university benefits knowledge. We strongly encourage to reach out to your University Retirement Plan Advisor to schedule a one-on-one consultation. Retirement program eligibility is based on your appointment type (faculty, staff or student) and your full-time equivalency (FTE). The two state-mandated retirement programs are the State Teachers Retirement System (STRS) and the Ohio Public Employees Retirement System (OPERS). New hires can choose a substitute plan, the Alternative Retirement Plan (ARP), which can have a more generous vesting period and a great array of investment and strategies to choose from. Note: If newly hired or newly eligible for a retirement program, please understand the enrollment deadlines. Full-time employees have 120 days from the date of eligibility to elect the Alternative Retirement Plan (ARP) as an alternative of STRS or OPERS. You have 180 days from your date of eligibility to elect plan options within OPERS and STRS. In additional to the mandatory retirement plan options, there is also a voluntary plan that allows employees to save additional money pre-tax for retirement called the Supplemental Retirement Account (SRA). The Alternative Retirement Plan (ARP) allows employees to save on a tax-deferred basis. You and the University make contributions to your ARP account every pay period. We make enrollment simple and stress-free. Email [email protected] or call your University Retirement Plan Advisor at 866-761-9378 x102. Learn more before you enroll - see Plan Basics & Investment Options & Opportunities. Employees of Ohio Public Colleges and Universities do not participate in the federal Social Security system other than contributions to Medicare. From your date of hire, you are assigned one of Ohio’s state retirement systems: State Teachers Retirement System (STRS) for faculty positions or Ohio Public Employees Retirement System (OPERS) for staff and non-faculty positions. Can elect Alternative Retirement Plan (ARP) rather than STRS or OPERS. A new full-time (75% full-time equivalent) employee can elect to change from the designated state retirement system (STRS or OPERS) to the Alternative Retirement Plan (ARP). Within 120 days of appointment date (the election period), you must complete a Retirement Program Election form to choose ARP. During the election period, retirement funds are deposited with OPERS or STRS but will be transferred after making the ARP election. Open an account with Nationwide ARP by contacting the University Retirement Plan Advisor for Ohio State, Phil Hammond, CFP® at 866-761-9378 x102 or via email at [email protected]. Complete the OSU Retirement Plan Election form. *Please note that an account must be established prior to completing as the election form requires the last 4 digits of your ARP account number. A set percentage of pay is deducted from each payroll period and deposited into your ARP retirement account. The University also makes contributions as a percentage of your compensation. There are many ways that you can invest and manage your ARP account. You, with the assistance of your University Retirement Plan Advisor, control how it is invested. You have many options and opportunities to invest and manage your retirement account. Comprehensive investment strategies, asset allocations and model portfolios. For more information, see Investment Options & Opportunities. Employee Contributions - payroll deduction contributions are always 100% vested. University Contributions - 100% vested after one year of full employment. Your named beneficiaries will inherit your account in the event of your death. Name your beneficiaries when enrolling. Update beneficiary information with life events such as a marriage, divorce, birth of a child, or death in the family. Your University Retirement Plan Advisor is qualified to assist you with the appropriate naming of your account beneficiaries. Withdrawals may be subject to income taxation. Withdrawals prior to age 59½ will usually incur an additional 10% early withdrawal tax penalty. Per ARP plan rules, in-service (currently employed) withdrawals are never permitted. For more information, contact your University Retirement Plan Advisor or OSU-HR office. Retirement plan accounts and IRAs can be consolidated into your university ARP account. Consolidating may help make it less complicated in investing and managing your retirement plans. Consider available options before moving your retirement assets. If you're not sure what’s best, talk to your University Retirement Plan Advisor. They can explain each option in greater detail so you can make the best choice for your specific needs. University Retirement Plan Advisor provides complimentary one-on-one consultations for university employees. You can also directly contact Nationwide for a statement of your account by calling 866-761-9378 x102 or visiting University Plan . Supplemental retirement account to save and invest additional contributions. Voluntary pre-tax contributions to a tax-deferred 403(b) plan account. Contributions are deducted from your pay on a pre-tax basis. The University does not make or match contributions. SRA 403(b) account grows tax-deferred. All employees are immediately eligible to participate in 403(b) SRA retirement plan. Voluntary plan, employee must choose or “elect” to participate. Participation and enrollment can be made at any time during employment. Enrollment is effective beginning the pay period elected on the OSU form or elected on-line through OSU, and when the provider account has been established. You will generally begin to see your contributions deducted from your paycheck as soon as administratively possible. Open an account with FTJ FundChoice/TD Ameritrade by contacting the University Retirement Plan Advisor for Ohio State, Phil Hammond, CFP® at 866-761-9378 x102 or via email at [email protected]. Complete the OSU 403(b) SRA Election & Change Form. *Please note that an account must be established prior to completing as the election form requires the last 4 digits of your 403(b) SRA account number. There are many ways that you can invest and manage your 403(b) SRA account. For more information, see 403(b) SRA Investment Options & Opportunities. You are always 100% vested in all contributions to your plan. Can withdraw money from your plan when you leave employment, retire or become permanently disabled. May be eligible for a financial hardship distribution. Withdrawals may be subject to income taxes and, if prior to age 59½, a 10% early withdrawal tax penalty. For more information, call your University Retirement Plan Advisor at 866-761-9378 x102. Retirement accounts are intended for the future, but you may borrow from it for any reason. Ohio State’s 403(b) Plan allows for borrowing up to 50% of account balance, not to exceed not exceed $50,000. Payback must not exceed 5 years and include interest. If you fail to repay loan (based on original terms), it will be considered in "default" and treated as a distribution, subjecting it to taxation and possibly 10% early withdrawal penalty. Defaulted loans may also impact eligibility to request additional loans. Be sure you understand the Plan guidelines and impact of taking a loan before you initiate a loan from your plan account.